Brigitte Parvin and Doreen Virtue are the authors of the forthcoming book “How to Get Your Life Back” due to come out in 2018. The book is about a spiritual approach to healing addictions and co-dependency with the help of the angels, which includes true stories from others. Describing how to reduce or eliminate addictive cravings for drugs or alcohol, with help from angels, including ways to increase your self-love and care about your health and happiness. Primarily for those on a spiritual path who are motivated to stop drinking, drugging, and/or heal their addictive relationships. 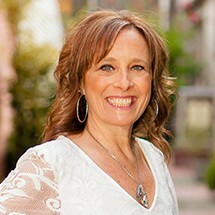 Angel Therapist Practitioner, Yoga of Recovery Councilor, Yoga Instructor, Medium, Hypnotherapist, and Reiki Practitioner. Owner of Brigitte’s Serenity Studio, a spiritual bookstore since 1994, Owner of Studio Be Yoga & Wellness Center, served on Steering Committee for Northern Calif Council of Alcoholics Anonymous 2003-2015. Brigitte began her journey in recovery in October 14, 1992.